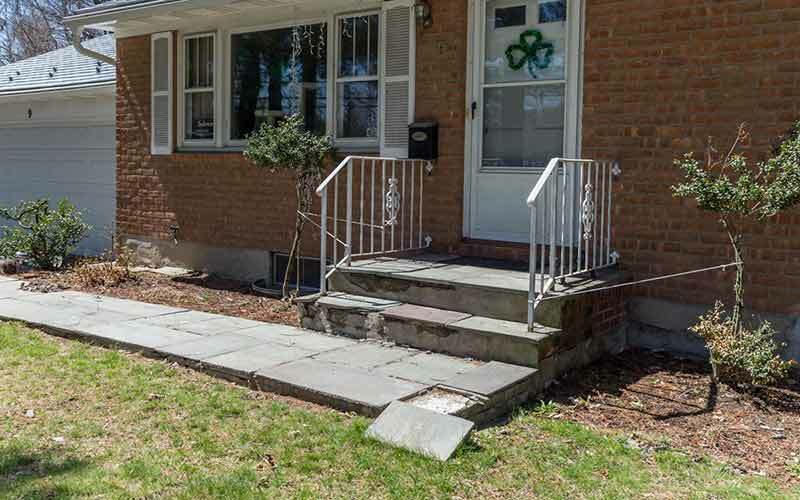 New Front Entry in New Paltz, NY: Case Study | Masseo Landscape Inc.
Project: These New Paltz homeowners wanted to up their curb appeal. 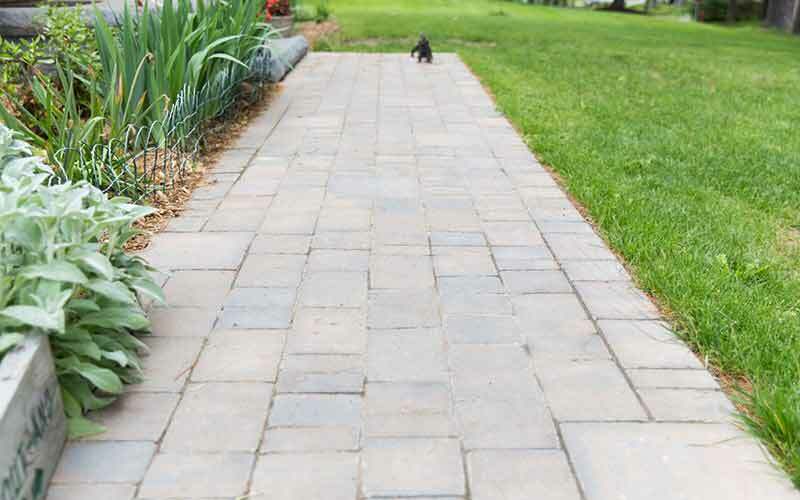 We had actually already installed a small Cambridge paver patio in their rear yard, so they decided to match the style. 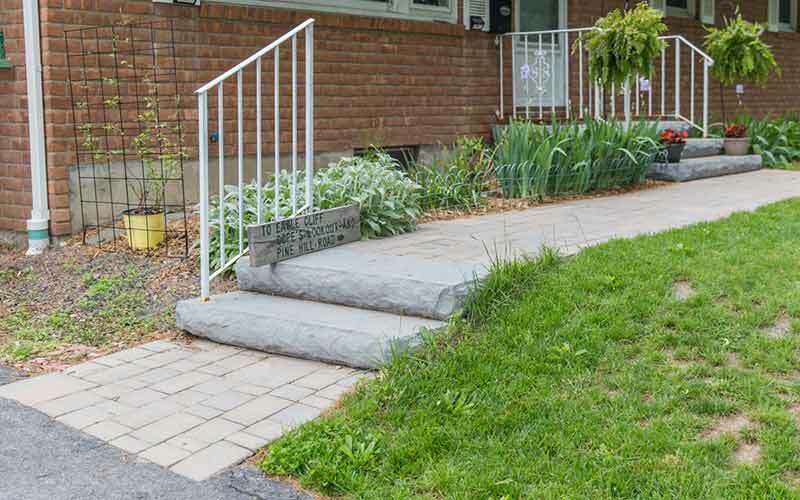 We used pre-cast concrete steps (from Kennedy Concrete) to transition from the walkway level to the driveway. 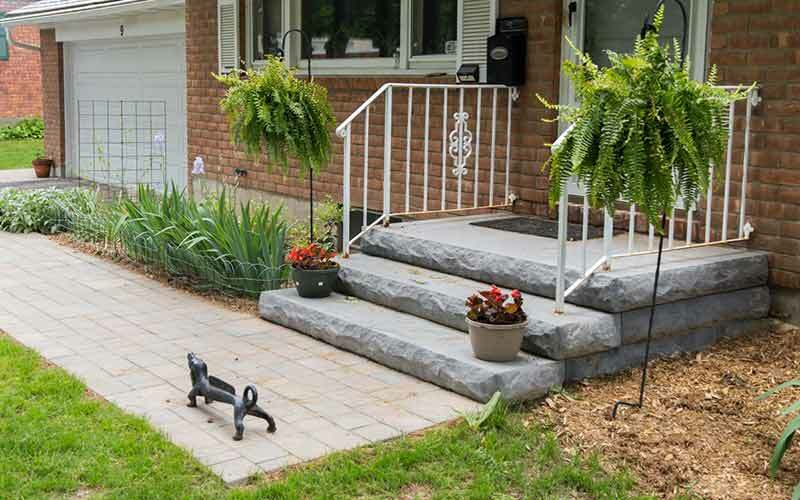 We used the same product to create a landing and stoop for the front entrance. 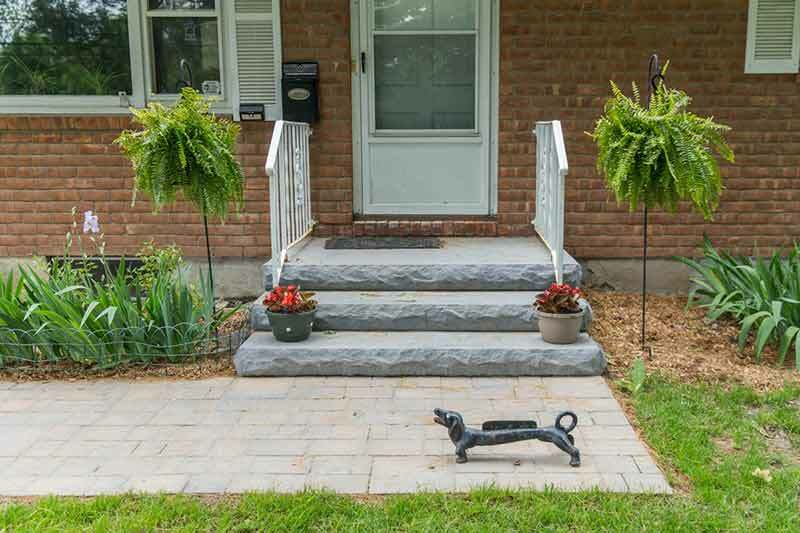 Products Used: Cambridge Pavingstones, Kennedy Concrete pre-cast concrete steps.